Movies you weren't allowed to watch growing up. This is a truly universal experience that all of us have gone through. Your friends have rented a movie or are on their way to go see something and you rush to your parents to them and they say one of the worst single syllable words in the English language, "no." You're heartbroken. You're downtrodden. What do you do? Do you watch it? Do you respect your parent's wishes? Or do you just lie your way through the ... See More conversation and tell your friends, "Oh, I've totally seen that and it was awesome." 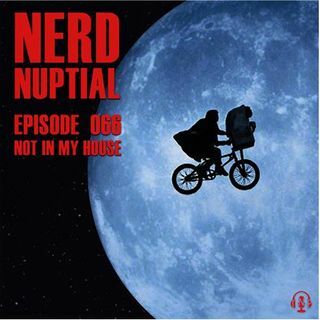 This Nerd Nuptial has plenty of stories to tell when it comes to movies and TV they weren't allowed to watch. What are some films you weren't allowed to watch growing up?